We are honored to have Elliott Masie, CEO and founder of The MASIE Center, as the featured keynote speaker at this year’s conference. His presentation will focus on the Changing Workplace, Workforce and Learning Models. 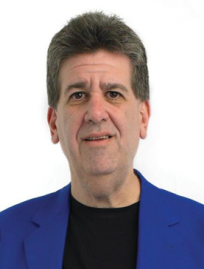 Elliott Masie is an internationally recognized futurist, analyst, researcher and organizer on the critical topics of workforce learning, business collaboration and emerging technologies. He is the editor of Learning TRENDS by Elliott Masie, an Internet newsletter read by over 52,000 business executives worldwide, and a regular columnist in professional publications, including CLO Magazine. He is the author of a dozen books, and is the convener of Learning 2012. He heads The MASIE Center, a Saratoga Springs, NY think tank focused on how organizations can support learning and knowledge within the workforce. He leads the Learning CONSORTIUM, a coalition of 240 global organizations cooperating on the evolution of learning strategies, including CNN, Wal-Mart, American Express, Farmers Insurance, Emirates Airline, Starbucks, General Electric and Fidelity Investments. Elliott’s professional focus has been in the fields of corporate learning, organizational performance and emerging technology. He has developed models for accelerating the spread of knowledge, learning and collaboration throughout organizations. Elliott is acknowledged as the first analyst to use the term e-Learning and has advocated for a sane deployment of learning and collaboration technology as a means of supporting the effectiveness and profitability of enterprises. Elliott serves as an advisor to a wide range of government, education and non-profit groups. He serves on the Board of Trustee of Skidmore College and as a Board member of FIRST Robotics and the CIA University Board of Visitors. He has served as a pro-bono advisor to the Department of Defense and on the White House Advisory Council on Expanding Learning Opportunities. Elliott is known as a highly approachable speaker and trainer, blending humor, applicable stories of best practice and high levels of audience involvement. Over the past thirty years, he has presented programs, courses and speeches to over 1,700,000 professionals around the world. He lives in Saratoga Springs, owns thoroughbred horses, is an investor in Broadway shows like Godspell, and travels extensively each year. 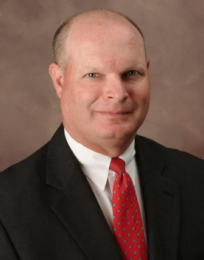 We are excited to include Tim Moore, owner and principal of Dancing Elephants, a sales consultancy firm, as a keynote speaker at the National Registry Summit 2012. Tim Moore has a passion to see the Generations connect, engage and relate with each other. Whether you are a Baby Boomer, Gen X or a Millennial there are specific ways to communicate with and teach each generation. This insightful and entertaining presentation introduces audiences to the four generations of employees in today’s workplace and how to work with, teach and manage each. Tim is an accomplished author and speaker with over three decades of experience in marketing, sales, and training. He is Editor of the magazine Carolina Business Connectionand Director of Workforce Learning and Sales Development at the information technology consultancy WingSwept in North Carolina’s Research Triangle region. He is also owner and principal of the sales consultancy Dancing Elephants. His experience in sales and training spans over thirty years and numerous Fortune 500 companies, including PepsiCo, Gillette, Dow Chemical, and L’Oreal USA. At L’Oreal, he was a divisional Director of Business Development. At Dow Chemical, he was National Sales Director for DowBrands and received Diamond Club honors as the top salesperson in the company. At Gillette, he received the Gillette VIP award as one of the company’s top sales professionals. Tim has written articles on sales and training and teaches classes and seminars in sales at universities and community colleges. He is coauthor of Six Secrets of Sales Magnets. He has prepared reports and presentations for companies and organizations across the country. His presentations benefit from his years of hands-on know-how as well as his great sense of humor. At Generational Insights, Tim is part of a team that has become the leading voice on the impact of generational differences on sales, marketing, and management. He combines the research of Generational Insights with his own professional experience, in addition to observations of client practices, to provide generational strategies and solutions for sales-based business relationships. He holds a Bachelor of Arts degree from Elon University, where he was student body president. He grew up in Charlottesville, Virginia and lives with his wife of 32 years, Linda, and their two adult children in Cary, North Carolina. He is one of about 75 million Baby Boomers who are still busy changing the world.